321 N High St, Hartford City IN, is a historic brick home that now houses the Blackford County Historical Society, the Museum, and The Cecil Beeson Genealogy Library. 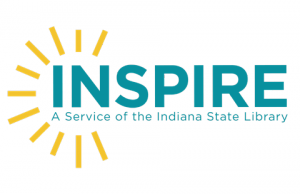 The Indiana State Library has released a research guide for each of Indiana’s 92 counties. These guides are not intended to be exhaustive, but do cover the basic research information for each county. A private, nonprofit membership organization, IHS maintains the nation’s premier research library and archives on the history of Indiana and the Old Northwest. IHS also provides support and assistance to local museums and historical groups; publishes books and periodicals; sponsors teacher workshops; produces and hosts art exhibitions, museum theater and outside performance groups; and provides youth, adult and family programming. IHS is headquartered in the Eugene and Marilyn Glick Indiana History Center – home of the Indiana Experience. Indiana Memory is a collaborative effort to provide access to the wealth of primary sources in Indiana libraries, archives, museums, and other cultural institutions. It is a gateway to Indiana’s history and culture found in digitized books, manuscripts, photographs, newspapers, maps, and other media. As a portal to the collections, Indiana Memory assists individuals to locate materials relevant to their interests and to better appreciate the connections between those materials. The items made accessible through Indiana Memory represent only a small percentage of the materials held by contributing institutions. Please feel free to contact any of the contributing institutions for more information. ANCESTRY LIBRARY EDITION provides more than 7,000 available databases. Here, you can unlock the story of you with sources like censuses, vital records, immigration records, family histories, military records, court and legal documents, directories, photos, maps, and more. Only available in the library.